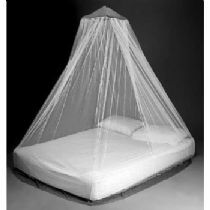 We are a specialist in High Quality Mosquito Nets. We provide these nets to Individual Consumers on this retail website. We also supply Charities, Ministries Of Health, Corporations and Armed Forces working in countries effected by Malaria, West Nile Virus and Dengue. 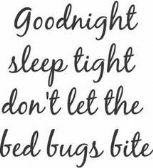 Individual Consumers - If you live in, or intend to travel to an area effected by biting insects, our range of Retail nets will provide you and your family with the protection that you need. We provide Worldwide and Fast Delivery. Charities - From 200 nets to millions - We have the product, experience and expertise to help your charity deliver a cost effective, life saving solution to anywhere that you provide assistance. Ministries of Health - If you have been let down on delivery timescales by one of the other providers of WHOPES nets, talk to us. Corporations - The provision of mosquito nets to your staff, their families and the wider local populace is not only an excellent way to save lives in the areas that you operate, but the positive publicity and local goodwill it will generate is priceless. We have oil, mining and industrial customers that have used mosquito nets very effectively for CSR. 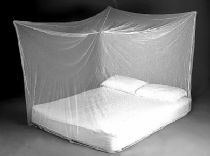 Armed forces - Whether for your own troops, or as donations to win "hearts and minds" - Mosquito nets are invaluable to your needs.